Needing a fun way to ask all your besties to be in your bridal party? 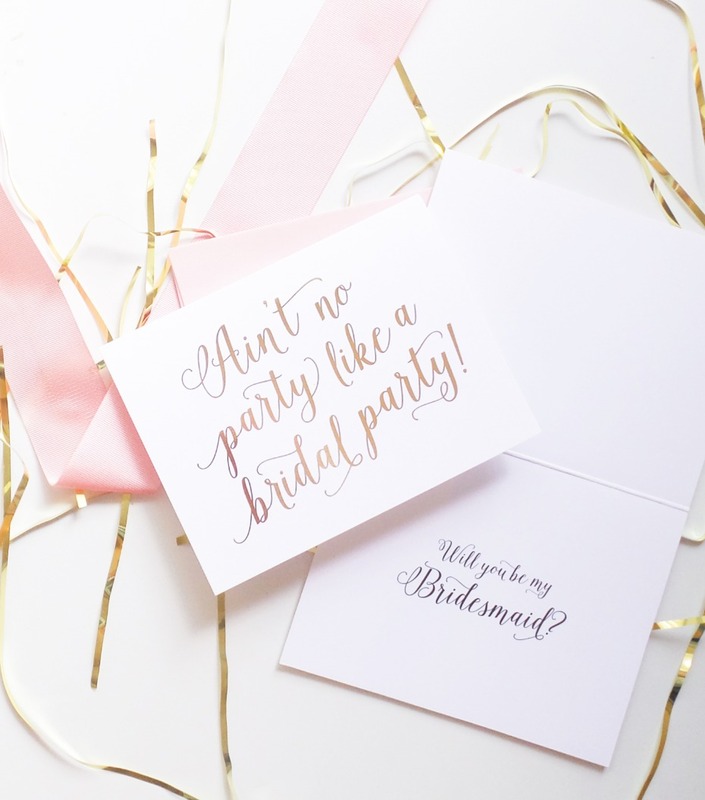 Our friends over at Paper Tie Affair teamed up with us to bring you these super cute cards that are sure to have all your gal pals giggling... helped along by a little bubbly I'm sure. 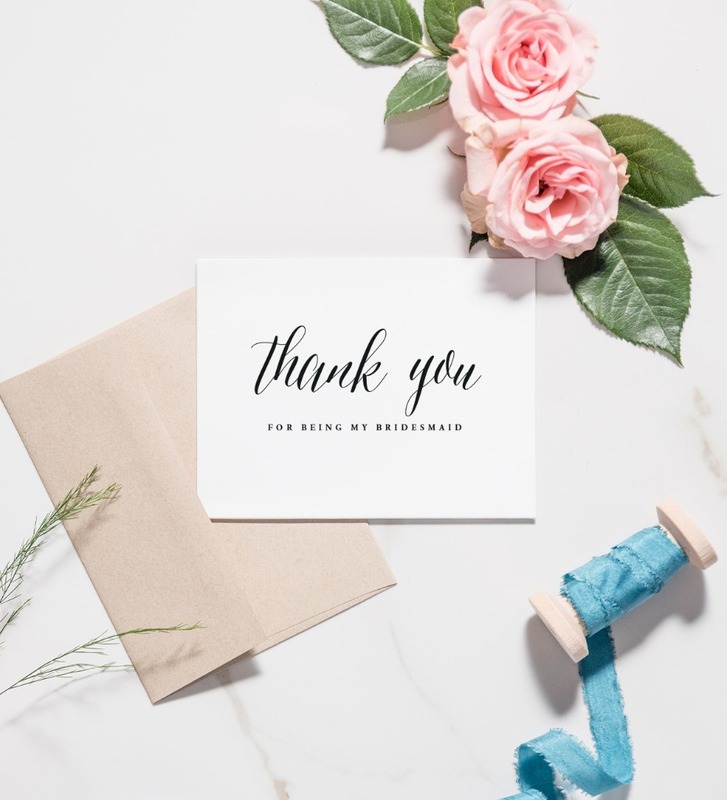 You can find this best selling card on Paper Tie Affair's Etsy site and while you are there be sure to check out ALL of their wedding stationery options. Our personal favorite happens to be the Floral Wedding Invitation suite but there are plenty more to choose from along with some very cute thank you cards for your bridesmaids as well your wedding guests. Oh, and did we mention Paper Tie Affair wants to give you a discount? Keep scrolling to learn more! Did you find something you can't wait to order? Paper Tie Affair wants to give all of our readers a special deal. Starting today you can get 10% off your entire order with the coupon code WEDDINGCHICKS. So shop your heart out, buy those cute Groomsmen cards, stock up on wedding place cards, snag a Valentine's Day card for your love for next year. You'll find it all at Paper Tie Affair!